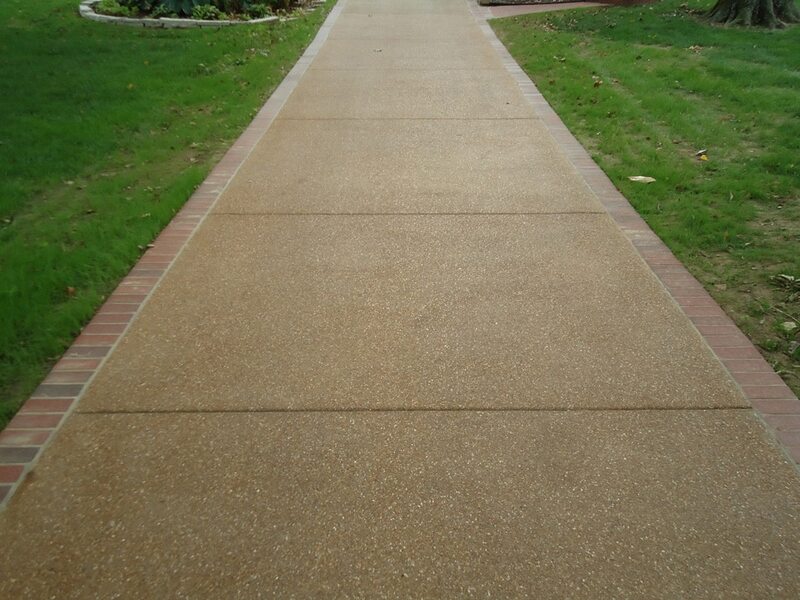 This project installing an exposed aggregate concrete driveway with a beautiful brick accent border allowed us to update an old asphalt driveway on a lovely historic street in the Webster Groves – Kirkwood area. Because the driveway is so long, it has a larger impact, positively or negatively, on the overall look of the house. This update not only improved the driveway, but the entire curb-appeal of the home. First we removed the old driveway and prepped the ground in order to provide a consistent base for both the concrete and the decorative brick borders to ensure years of lasting strength. Then we poured the concrete followed soon after with setting the bricks which matched the home perfectly. At the side and back of the home, we integrated the driveway seamlessly with the steps, walkway, and detached garage to create a smooth and timeless look as if the home and drive where all built at the same time. Although this project was relatively inexpensive compared to most home-improvement projects of this nature, the overall added equity to the home is significant. 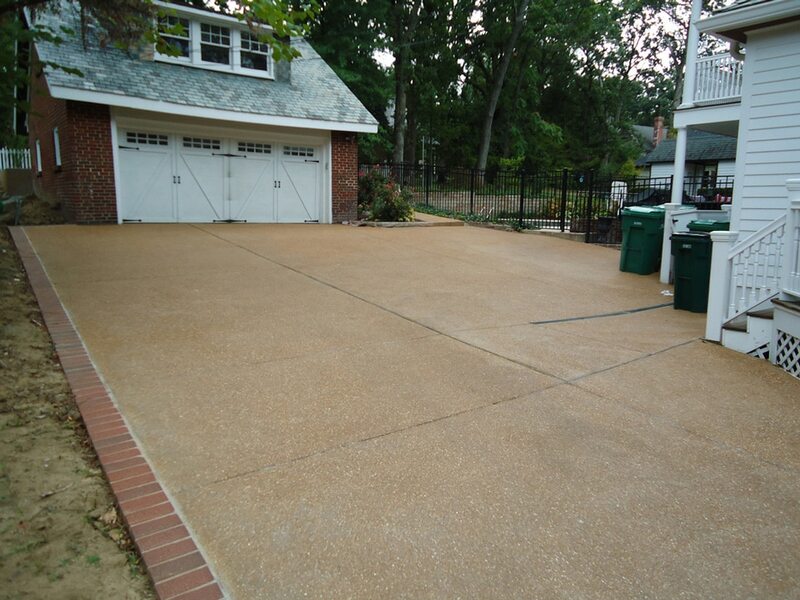 A new designer concrete driveway is one of the best returning investments you can make for your home. Now the driveway is as beautiful as the home and neighborhood.